A FORD service manager has allegedly been recorded calling a customer an expletive over the phone after apparently thinking he had already hung up. The incident occurred after the customer, Xander Svetman, wrote a public Facebook post complaining about his new car being recalled due to a faulty gasket. Mr Svetman was originally disappointed that he hadn't been contacted by Ford about the recall and replacement of the part. 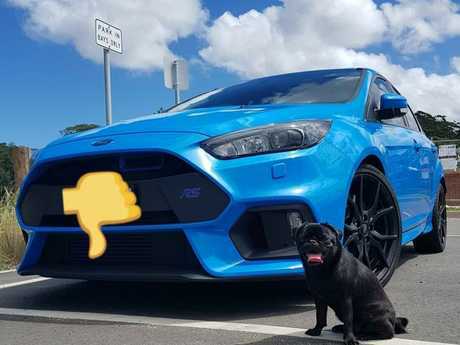 He was also angry because after calling northern Sydney dealership Titan Ford Brookvale to book the job himself, he was told his Ford Focus RS wouldn't be fixed until April. According to Mr Svetman, while the dealership could have fit him in sooner, the company was keeping its loan cars for regular customers' services. 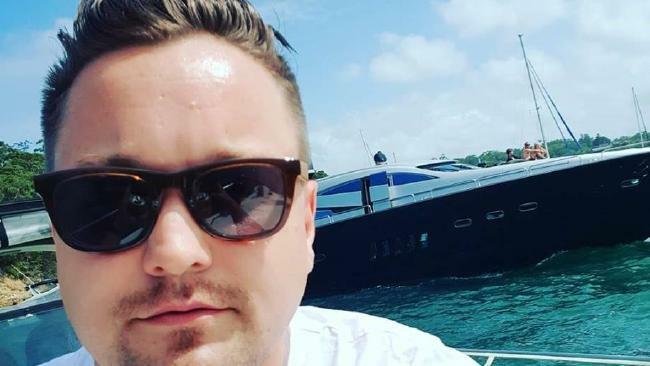 However, after posting about his complaints, he received a voicemail message from a service manager at the dealership, who said he was calling to discuss Mr Svetman's complaints. But in the recording, which Mr Svetman has also uploaded to his Facebook page, the man is heard referring to the customer as a "f***wit" after apparently thinking he had already hung up the phone. Mr Svetman's original Facebook post read: "Ford Australia, you are making it very hard for me to remain loyal. In regards to this Gasket recall, Titan Ford Brookvale first doesn't even call its RS customers to book in the job. 2nd, when I try and book it in myself I am told by the service lady "we are only doing one RS with a Rental car per week (wtf? ), and we already have 3 or 4 booked in (meaning I have to wait till April)" ... its just terrible service. I bought the 3rd RS from these amateurs (waited 9 months also), have taken it in for every service to them ... I would have expected a call from the service manager (who is a lovely man, and I have spoken with him about the issue before the recall was announced also). So yeah ... rectify please." He later updated that post to explain that: "the lovely service manager referred to above was not the service manager that called me a f***wit on voicemail." Mr Svetman also later added that Ford Australia had since arranged for recall work to be completed today and had also organised a loan car to be used while the work was being carried out. He said the company had also "apologised quite sincerely for the whole experience, verbal and written". However, he is still waiting on a response from Titan Ford. The post has received more than 1100 "likes' and reactions, almost 500 shares and countless comments, with Matt Everitt posting "someone's losing their job", while Tiaan Wolzak slammed the "classy service" and Denis Daly described the debacle as "another customer service nightmare". Mr Svetman confirmed the Dealer Principal had visited him yesterday, and that he would not be commenting further until the situation had been resolved. Ford Australia communications manager Jasmine Mobarek said the company was aware of the incident. "The actions of the staff member were disappointing and are not in line with Ford Australia's values or expectations," she said. "We have apologised to the customer and are working with them to address their recall repair."